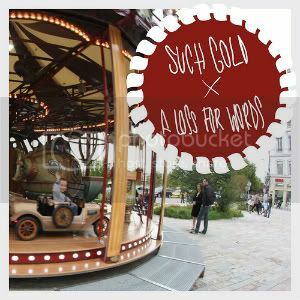 HomeNewsNEWS: Such Gold and A Loss For Words announce split release! Two of pop-punk’s most promising acts, Such Gold and A Loss For Words, have announced details of a forthcoming split release through labels No Sleep Records and Mightier Than Sword. The release is set for a November 22nd 2011 date, with limited vinyl pressings to be made available black (100), yellow (450), and maroon marble (450) packaged with a limited edition t-shirt. NEWS: Rival Sons track ‘Torture’ to feature in Real Steel movie! NEWS: Machine Head ‘Unto The Locust’ album parties in the UK! NEWS: Slam Dunk 2011 announce a further three acts to the line-up!